The Japanese national team set an example for all teams after showing a class of sportsmanship despite their World Cup defeat by Belgium last night at the Rostov Arena. 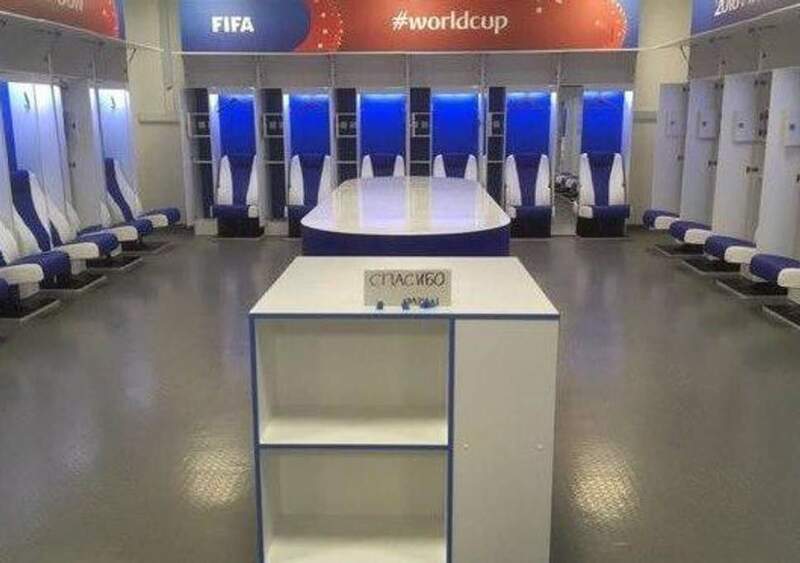 Sharing a picture of their spotless post-match dressing room, Janssens wrote: 'This is the Japanese dressing room (sic) after losing to Belgium in the 94' minute. 'Thanked their fans in the stadium, cleaned up everything (bench and dressing room) and spoke to media. Even left note with 'Thank You' in Russian.